I got an email last week with a video attached to it. This video goes behind the scenes of RIP MD, by Mitch Schauer, an Emmy® Award-winning producer, writer and designer. It’s an interesting interview that discusses the development of RIP MD from pencil to ink to color, and an insight into the reasons why each artist got into the business in the first place. It should fascinate you if you're thinking about getting into the business. 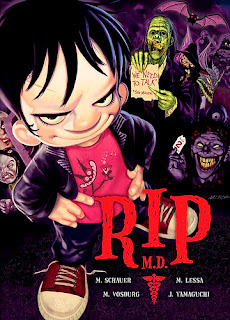 RIP MD is published by Fantagraphics Books in conjunction with Lincoln Butterfield Animation. Rip M.D. is the debut graphic novel from The Angry Beavers creator Mitch Schauer, a creepy, fun-filled all-ages adventure introducing Ripley Plimpt, an eleven-year-old boy whose ordinary life is turned upside-down when he discovers that monsters are not only real, but are also in desperate need of his help to overcome their very real problems. 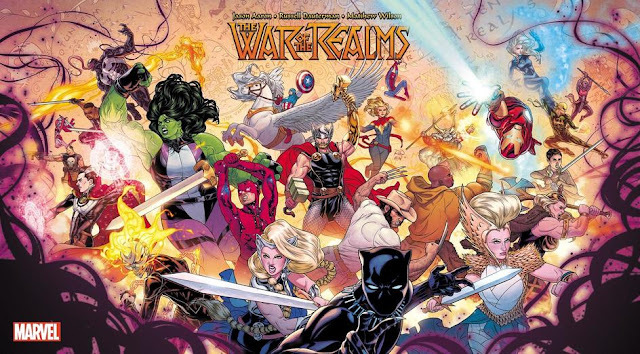 You can read the rest of the solicitation here, as well as download a free 8-page preview. It looks like good stuff, folks! You should check it out.